Heat the wok & add the oil. Then, sautee the chopped garlic until fragrant. 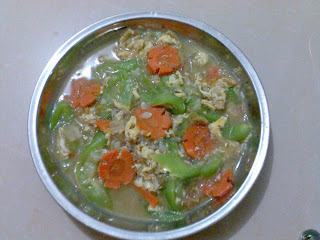 After that, add in the dry fish/shrimp...Stir fry it until fragrant. 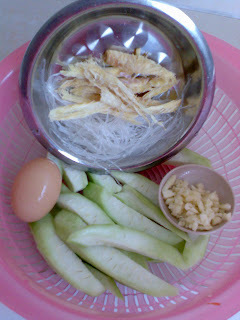 Here is my ordinary Stir fry loofah with egg & glass noodle..